A "Shazam!" movie has been in development for too long and it is uncertain if Birch will even please WB and DC execs. Bill Birch is again an actor turned writer, who has yet to have a screenplay set film. Others like William Goldman, Bryan Goluboff, Joel Cohen, Alec Sokolow and John August have all tried and failed. The comic follows Billy Batson, a youth who works as a radio news reporter and was chosen to be a champion of good by the wizard Shazam. 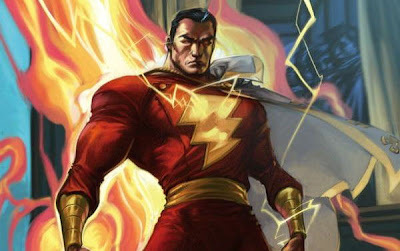 Whenever Billy speaks the wizard's name, he is instantly struck by a magic lightning bolt that transforms him into an adult superhero empowered with the abilities of six legendary figures; one from the Old Testament and five from mythology including: the wisdom of Solomon, the strength of Hercules, the stamina of Aries, the power of Zeus, the courage of Achilles and the speed of Mercury.